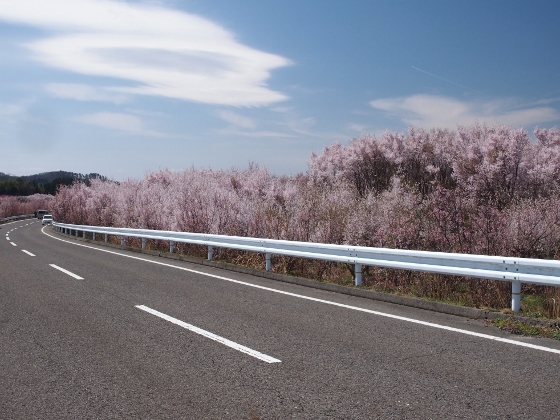 Cherry blossoms are hurrying to bloom like an express train this year all across Japan. 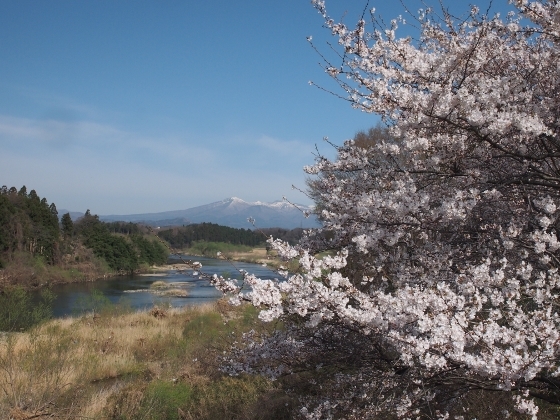 There was no flower at this site on this Monday, but today, four days later, cherry blossoms were in full bloom at Kowataki Bridge over the Abukuma River as shown above. The mountain in the back was Mount Adatara. 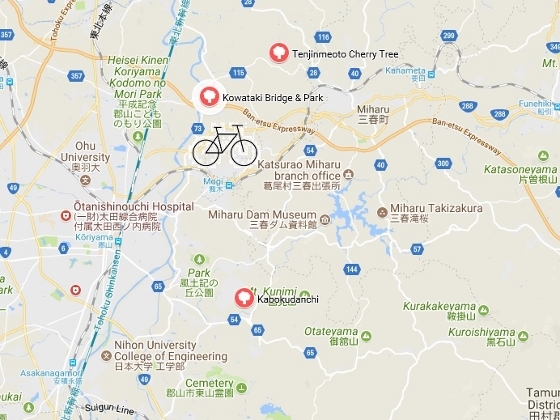 The bridge was right next to small Kowataki Park as shown above. 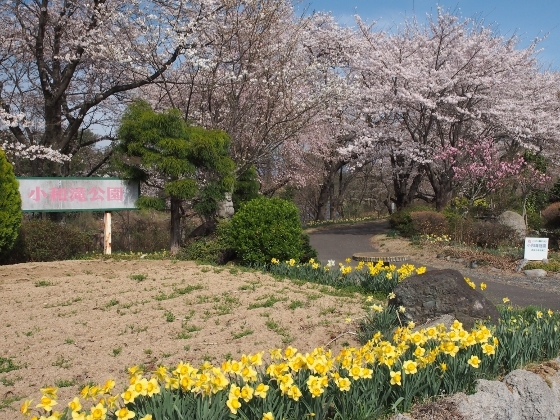 The park was located at Nishitamachi district in northeastern Koriyama. 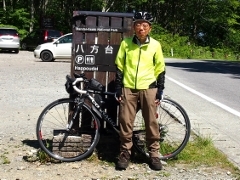 Then I stopped at Takashiba Dekoyashiki village in the neighborhood. 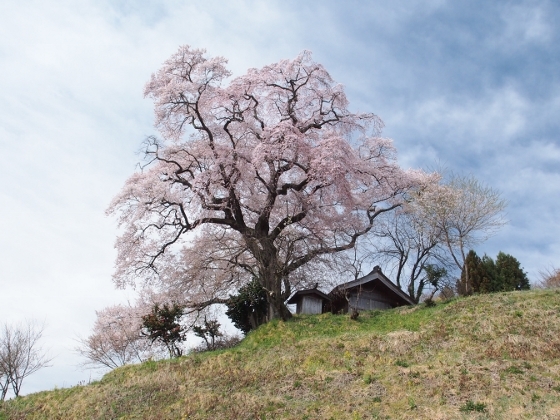 A large weeping cherry tree called Tenjinmeotozakura was close to full bloom as shown above. 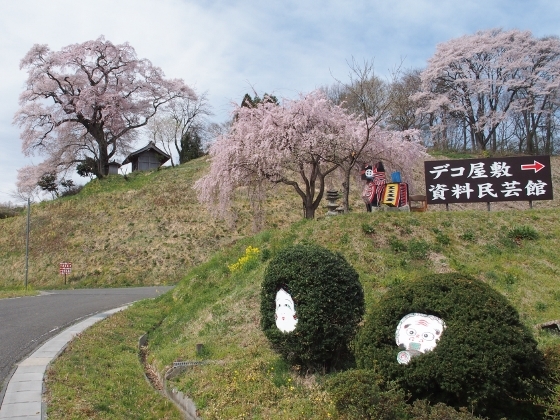 A photo above shows pretty garden within the hamlet with other cherry blossoms and displays. （Blossoms at Kabokudanchi, Koriyama, April 5, 2018. 郡山 の 花木団地 4/5/2018）Finally I stopped at flower tree fields called Kabokudanchi on the way back home. 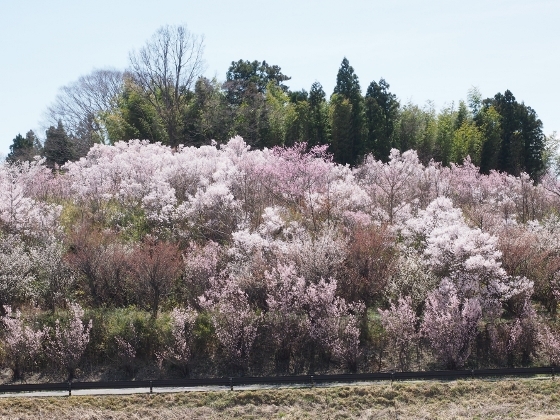 A variety of flower trees planted by farmers were blooming as shown above. It looked like a small paradise. 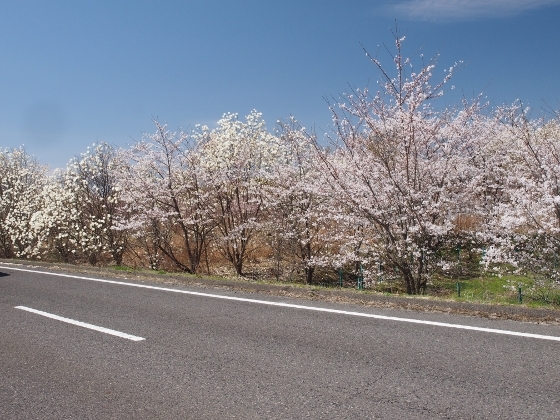 Some other fantastic views along the road with white and pink blossoms are shown above. GPS trace is not shown this time due to device trouble.